ACL Ceiling fans were introduced to local market with superior quality and a product with value for money. 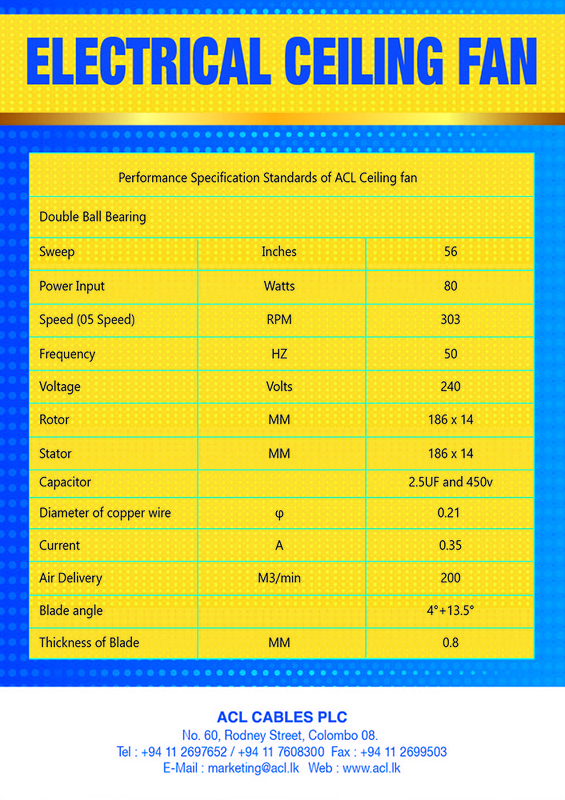 Complying with international criterions ACL ceiling fans are manufactured under ISO certification. The product comes in two models as Metal blade and Aluminum blade fans. 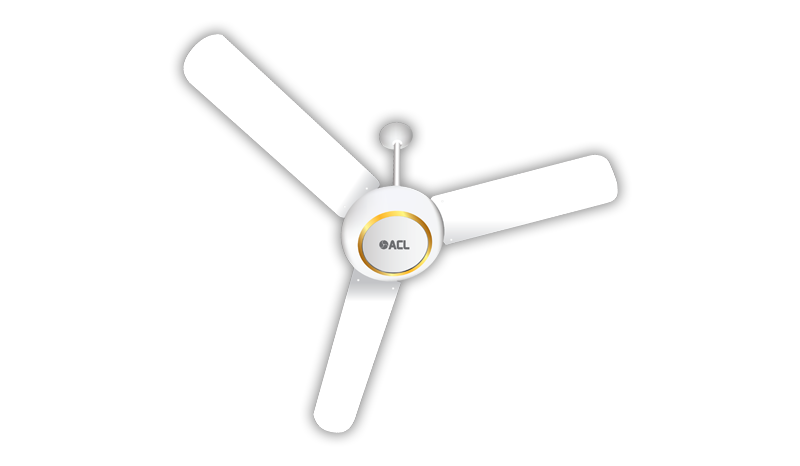 Designed with broader width of blades ACL Ceiling fans ensure higher air delivery than most other fans in market. The aluminum blade ceiling fan is designed especially to cater the need of anti-corrosion. Both ranges possess a two year one-to- one replacement warranty on motor defects.